Today is March 30, 2010. Your calendar may indicate that it is Passover, Nisan 14. The two writers of this journal, myself and Linda, are former members of Jehovah’s Witnesses. This journal is intended for general Christian encouragement and not meant to be a place for discussing the differences between sects, however, on this day of Passover I feel compelled to enlighten readers as to what goes on in Kingdom Halls throughout the world on this most reverent day for Jehovah’s Witnesses. I also invite you to pray for them on this evening as they celebrate the Memorial of Christ’s death. Jehovah’s Witnesses will gather at sundown for the one time of year in which they pass the emblems of communion. There will be song and prayer and a discourse on the meaning of the bread and wine. The sad part is that very few members of this sect, which they consider to be Christian, will partake of the body and blood of Christ. During the eight years I was considered as one of Jehovah’s Christian Witnesses, I never took the bread or wine passed to me. It was out of respect for Christ and his kingdom that I was deceived into doing this. That is the scripture that made me shudder and think. I wanted to commemorate the death of Jesus as he says to “do this in remembrance of me.” So I knew it was important to have some kind of “Memorial.” I knew from this section of scripture it was also very important to “examine myself” and not to partake as it would bring judgment on myself if I didn’t “recognize the body.” So the next thought was to do just that–examine myself in relationship with Jesus Christ and to figure out what it meant to recognize the body. In my JW trained mind, the body meant the remnant of the anointed 144,000 who would be co-rulers with Christ in his kingdom to come. Only they were part of the new covenant in Jesus’ blood and therefore only they partook. But the Holy Spirit led my Bible reading and allowed me to see the new covenant and the body in a different light. The word of God says that the body of Christ is a group of people who were “all baptized by one Spirit into one body.” I needed to recognize who this body was. Was it the 8,000 or so partakers at the Memorial among Jehovah’s Witnesses? What about that “one Spirit” part? Were they baptized under a different Spirit than I or the other remaining 6 million JWs? There is only one body and one Spirit. Did I receive God’s one Spirit at my baptism then or not? Did I also become part of the one body or not? Am I in the new covenant? I have received God’s Spirit. I knew it when I read the entire 8th chapter of Romans. I believed I received “the Spirit of sonship” (Rom 8:15) and that “the Spirit of God lives in me” (Rom 8:9). It was a struggle to believe this though. My Watchtower indoctrination made me want to reject this truth. I can recall reading in Romans 8 and believing God was speaking to me. JWs attribute verses 14-17 only to the 144,000, but I knew God was calling ME His daughter throughout the whole chapter. I was in a spiritual battle as I began to accept that truth. 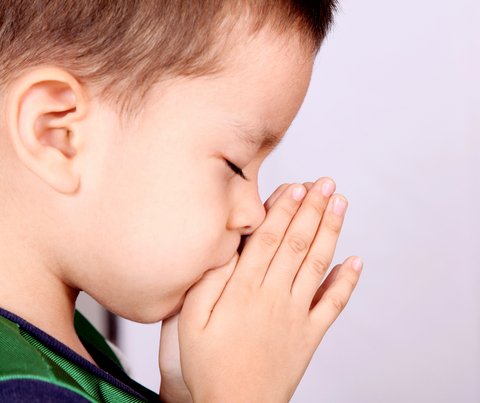 As I was crying and praying “thank you” to God for accepting me as His child, I was also apologizing for believing it because it was against my religious training in “Jehovah’s organization.” There was a demonic hold on me, but now I was AWARE of it because I sensed the loss of grace when I began to apologize for believing I was a child of God. I knew that was a powerful Watchtower demon on me and I rebuked it. That was a turning point. I accepted God’s grace and denounced the Watchtower. So even though I left in 2003, I did not accept God’s grace until 2007. I had been saved just prior to entering the Watchtower in 1996, but did not really understand the grace I was under. This is what Paul was warning the Galatians about as well. They were saved, but now turning to “another gospel” just as I had. And it is true, I became alienated from Christ just like he cautioned (Gal 5:4). Praise God, He restored me and I repented of my involvement with the JWs and trying to gain God’s favor through my own righteousness instead of boasting in the cross. I now proclaim not only his death and resurrection there, but mine also. Because the Bible says there is only one Spirit, I knew the entire 8th chapter of Romans applied to me. There are not two Spirits, one for an anointed heavenly class and another for an earthly class as the Watchtower teaches. Those who do not have the Spirit of Christ do not even belong to him (Rom 8:9). So, if I have received this Spirit, then I am part of the body! How do I know? I realized I am the church. 23For the husband is the head of the wife as Christ is the head of the church, his body, of which he is the Savior. (Eph 5:23). I had “recognized the body” as it said to do in 1 Cor 11:29 and I had my first communion on September 9, 2007 “in remembrance of him.” It was not a spontaneous, emotionally provoked ritual. I examined myself since 2003 after all. I had opportunity before that when I attended church services and passed up the bread and wine in my uncertainty, but by 2007 I had come to some conclusions and knew I could partake without any hesitation. The truth had set me free. I consider now what goes on at the Kingdom Hall on the night of the Memorial of Christ’s death to be very sad. His body and blood were given in sacrifice for all. By believing this, we are welcomed into the new covenant. He wants to be our mediator and savior. And how do Jehovah’s Witnesses respond? They pass that loaf and wine and reject him! Millions of deceived people will gather this year for the Memorial of our Lord’s death and reject him–not because they do not love him, but because they’ve been lied to by a false prophet. The Watchtower Society claims that only 144,000 individual comprise the church or body of Christ. Only they have become part of the new covenant. Through that one body, other people are welcome to associate with them. Therefore, only by attending meetings at the Kingdom Hall under the direction of them can one be saved. I reject this doctrine because God’s word of truth proclaims that there is only “one mediator between God and men, the man Christ Jesus, who gave himself as a ransom for all men” (1 Tim 2:5, 6). And I echo Paul’s words in that same letter. I know why I will not be at the Memorial this year. But I also know the confusion, pain, and suffering that goes along with leaving the fellowship of Jehovah’s Witnesses and not understanding what we are invited into. And so, I ask you to pray for the lost. Father, help us to pray in agreement with your will and with one another. You’ve already given us your Spirit, we ask that you humble us to shed the walls we create in our lives that distract us from recognizing your breath within us. Thank you for creating in each of us a need for you. Thank you for your pursuit of the lost. Each of us were once enemies of the cross. Whether by flaunting a sinful lifestyle or by boasting in our own righteousness through religious works, Lord, we are humbled by what you have done. Thank you for your forgivenss. In putting on flesh, you gave up heaven to be with us. You allowed our wrath against you that we may escape yours against us. Thank you Jesus. Today is a day of reflection. What meaning is this bread? Your body given in sacrifice. I accept. Lord, live in me and distribute my body as well. Here are my hands, use them to your glory, not mine. Help me recognize you in the bodies of others. Jesus, you gave your life blood. The life is in the blood and we drink it in. We have new life, a transfusion. Lord, we died with you on the cross, thank you for conquering death, we rise with you. Hallelujah. You have forgiven us. How can we accept this gift? Break my body, break my spirit, lead me always to forgive others for I am prideful without you and prone to rule. Be my Lord and reign over me that I can bow. Holy, Holy, Holy. You humbled yourself to win me, thank you, help me to do the same. Jesus, I am ashamed of the things in which I’ve boasted. My righteous acts are filthy rags in comparison to your perfect love. You alone are righteous and I praise you. Was there no other way? As we approach your cross we ask this. Must we submit here, at this place of torture? But Lord, you asked the same thing approaching your own cross in praying that if there were another way, let the cup pass from you. You submitted to the Father’s will and drank the cup. There is only one way. Thank you Jesus for being that way. You are the truth, you are the life. In remembrance of you, we eat this flesh, we drink in the blood of forgiveness sealing the covenant between us. You rule, you are king. We are left helpless to dispute it. You strip me of all my rights Lord. What can I claim for myself? And yet, there at the cross you bestow on me the grandest right of all–to be called your child. Born of Spirit, we each enter your family. A right given by a king. A right we claim only by the blood that bought us. Nothing can separate us from your love. Be present in our thoughts today, Lord, as we lift up those gathered in Kingdom Halls tonight. May your words of truth reach the hearts of those desiring to know you. As words of decpetion are dropped into the pure waters of truth, send a sword to divide. Give to their ears sound and to their eyes sight in your Spirit. Let your love be known to them. Invite them in with a restless spirit as you clear out the temple and make it a house of prayer. We ask for your power now, we petition you for wisdom to speak your words and that others may hear your voice in the letters you inspired. In the name of Jesus we stand in agreement against every battlement the enemy has erected. Jesus, you disarmed it all at the cross. Hallelujah. We pray your reign would become known as you deliver others one by one from the kingdom of darkness into your kingdom of light where we find freedom and grace in your loving arms. This is the cry of Jesus within, amen.